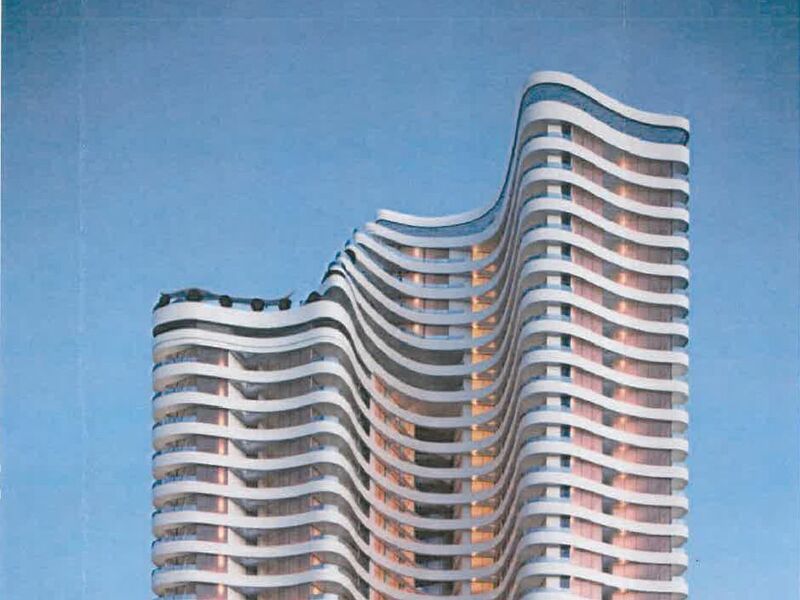 A stretch of Second Street in Westlake could get a very wavy, 24-story tower. A developer filed plans with the planning department last week to build the mixed-use high-rise, which would hold 335 housing units. 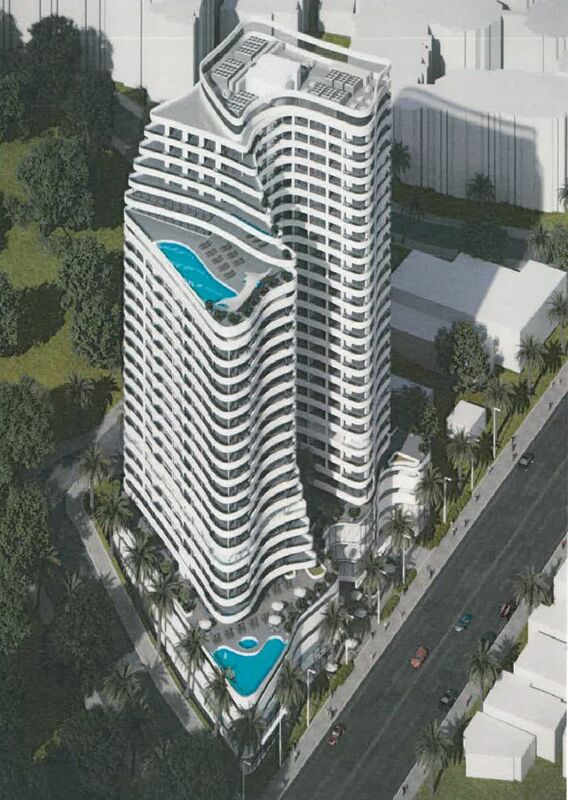 The applicant is listed as architect Tony Ashai, of Beverly Hills-based Ashai Design Consulting Corporation. Ashai plans to use the city’s transit-oriented communities guidelines, which allow developers to circumvent parking and density rules in exchange for incorporating affordable housing into their projects. The property where the new building is expected to rise is occupied now by a handful of single-story commercial structures. The site is next to Contreras High School Stadium and adjacent to Vista Hermosa Natural Park. It’s also close to the former home of the Bob Baker Marionette Theater, which was vacated recently by the theater company. The theater will eventually be replaced by a mixed-use complex with apartments and retail.